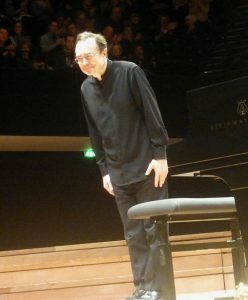 Pierre-Laurent Aimard, who studied with Yvonne Loriod and worked with Olivier Messiaen and György Kurtág, was chosen by Pierre Boulez to become the pianist of the Ensemble Intercontemporain when he was just 19. With such a background Aimard was naturally considered a contemporary music specialist, but he always liked to confront older music with modern works, and to share insight on the music, talking to audiences about the pieces before playing them. Over the last 2 decades, he has kept on recording and playing contemporary music (Elliott Carter, Ligeti, Messiaen, George Benjamin…) as well as the modern masters (Debussy, Ravel, Berg, Bartók, Liszt…), and baroque or classical music by Bach, Mozart, Beethoven, occasionally extending his musical activities to conducting. His recordings and concerts of Bach The Art of the Fugue and The Well Tempered Clavier (Book 1) received raving reviews. 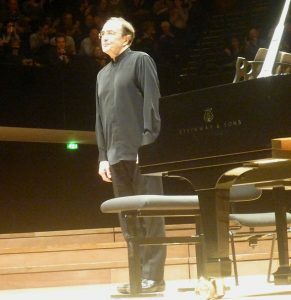 Before the concert of the Well Tempered Clavier in Paris Cité de la Musique, he offered a sort of musical lesson, presenting the various Preludes & Fugues and explaining their distinctive characteristics: this was quite instructive and enlightening! 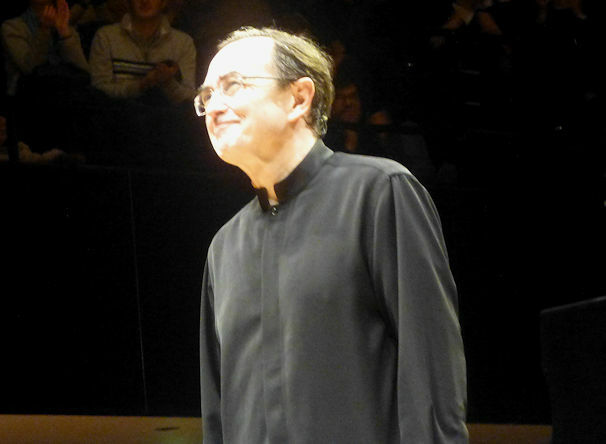 Pierre-Laurent Aimard had chosen Bach’s Goldberg Variations. 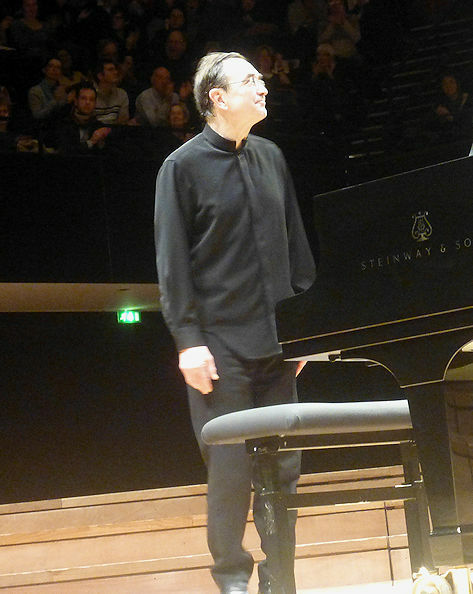 I had the chance to sit in the front row, in front of the piano, so I could really focus on the music. Less than 2 months after Evgeni Koroliov wonderful Goldberg concert, I had the privilege to witness another most remarkable interpretation of this incredible masterpiece. This entry was posted in Classical concert and tagged Pierre-Laurent Aimard by MichelE. Bookmark the permalink.